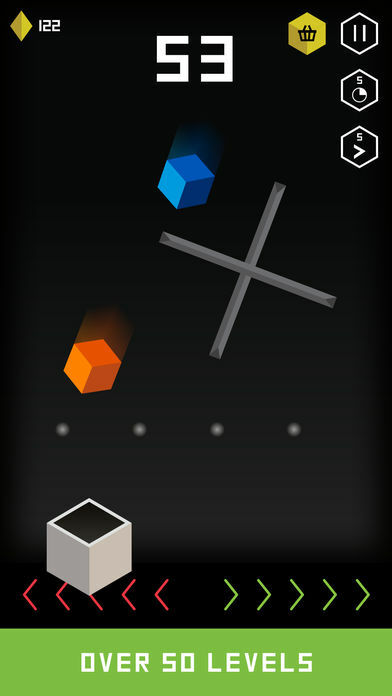 Cube Catcher by AppTrix, DeadCool and PH Lab is yet another casual 2D game you’ll probably find yourself playing here and there in your free time. 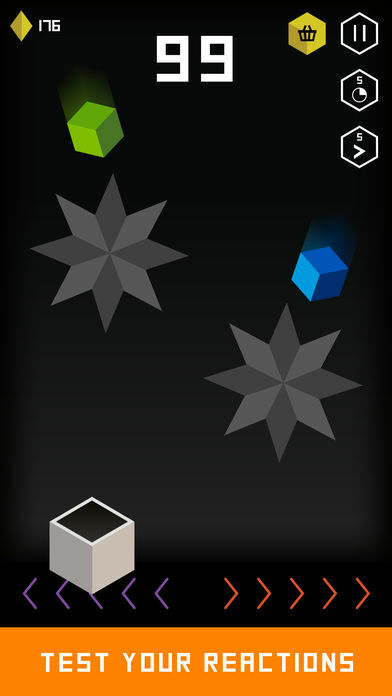 Before you slam our review as “a stupid waste of time!” please let us explain. 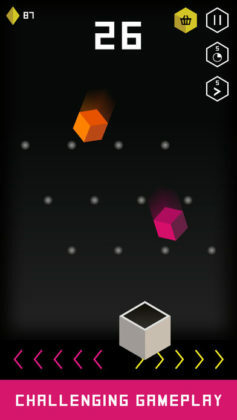 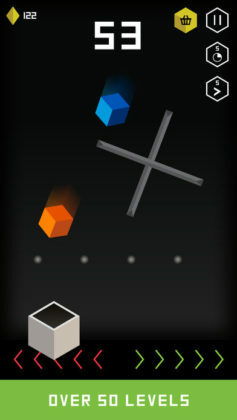 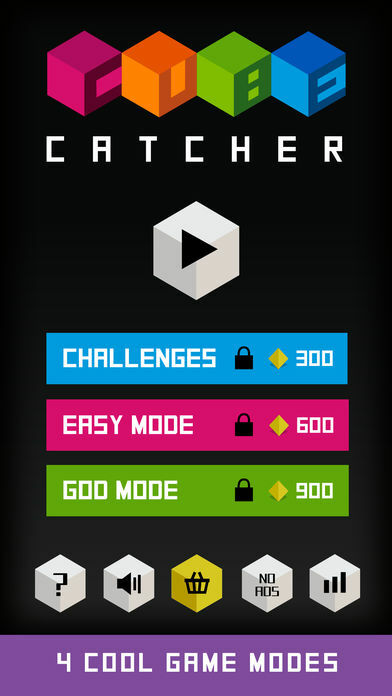 Although your mission in this game doesn’t change, the obstacles between you and each falling cube do. 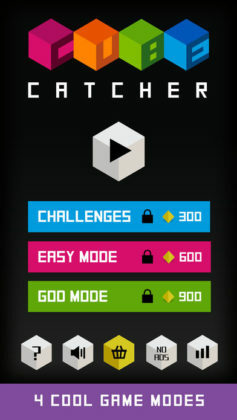 Unfortunately, there aren’t actually all that many patterns, so given enough time you will probably learn them all… This is countered by giving players tonnes of gems which can be used to unlock new game modes and upgrades, however, even with all these extra features, we aren’t too sure how long you will find yourself actually addicted to this game. With the same iconic 3D looking 2D graphics from DeadCool, not too many ads, and plenty of gems for you to collect, Cube Catcher is a game we would safely recommend to gamers everywhere! 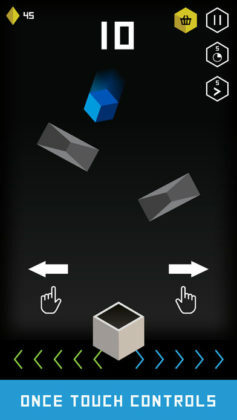 If you (like us) are a fan of the simplistic gameplay systems featured in practically every one of the games from DeadCool, Cube Catcher is yet another fun game we highly recommend you check out.